National US non profit organization dedicated to the prevention of sudden infant death and the promotion of infant health. International body dedicated to the exchange of information among scientists with experience in the field of infant health and death. Sudden Infant Death Syndrome and Other Infant Death (SIDS/OID) information website. others who have traveled this road before you, are here to help you through the difficult time following the death of your baby. The resource center for the national sudden & unexpected infant/child death & pregnancy loss consortium. A non-profit organization that was born from the tragedy of losing our daughter to SIDS. We strive to make beauty from ashes every day for SIDS families. Our mission is to increase awareness of Sudden Infant Death Syndrome (SIDS), to educate about SIDS prevention and safe sleep best practices, fund SIDS research and to provide financial assistance for funeral costs to families who lose an infant. Our mission is to raise awareness of stillbirth and to promote global collaboration in the prevention of stillbirth and provision of appropriate care for parents whose baby is stillborn. Share serves those who have experienced the death of a baby due to early pregnancy loss, stillbirth, or in the first few months of life. Our Mission is to support families (and helping professionals) grieving babies lost to Sudden Infant Death Syndrome through informational material. AMEND offers free counseling service to parents who have experienced the loss of an infant through still birth, miscarriage, or neonatal death. 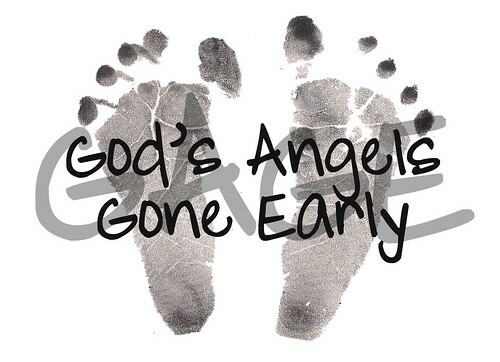 Non-profit corporation whose purpose is to provide support and mementos to parents experiencing infant loss. Offering parents, families, friends and professionals support, education and resources on the death of a child in early pregnancy (miscarriage, ectopic pregnancy etc. ), or from premature birth, stillbirth, neo-natal death, birth defects, sudden infant death syndrome (SIDS), illness and all other types of infant and early childhood death. Our purpose is to deliver teddy bears to hospitals that are in turn given to parents of stillborn children, miscarriages and neonatal loss. Along with these teddy bears is a card containing a sympathy message and the website address. Putting a face on miscarriage, stillbirth and infant loss. A non-profit, non-denominational organization serving grieving children and their families. We believe this is the purpose of Now I Lay Me Down to Sleep Foundation, Remembrance Photography -to touch people's lives and to be touched by them in return. A heaven- based support site for others that believe our reunions are "just a cloud away".